As I've already blogged about this weekend Ferrari have made changes to their rear wing assembly, whilst the other post focused on the new endplates this one will look at the changes made to the wing profiles. 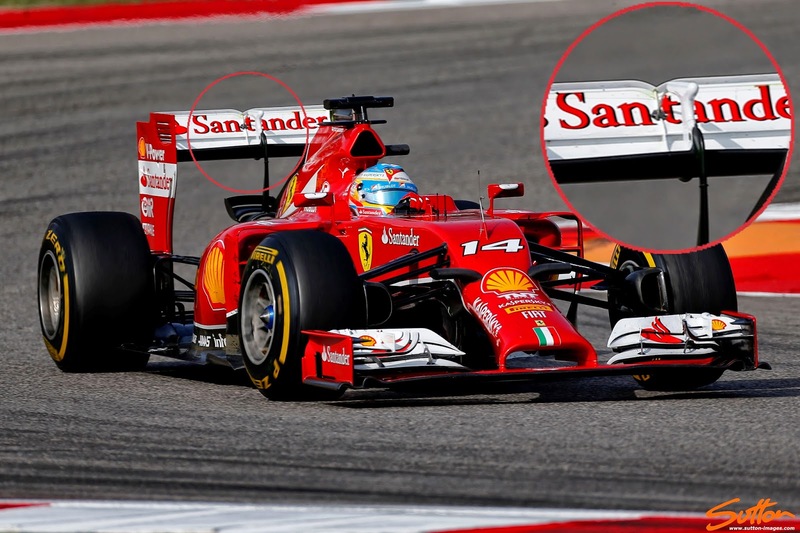 The changes made to the endplates allow the team to run with a much more aggressive AoA (Angle of Attack) thus generating more peak downforce. Of course the problem with more downforce is that invariably you'll also generate more drag, meaning the team have made a design change to the rear wings upper flap. Usually the teams philosophy is to utilise two V grooves in the flaps upper surface (above), these reduce the surface area available, bleeding off some of the drag induced at higher speed. 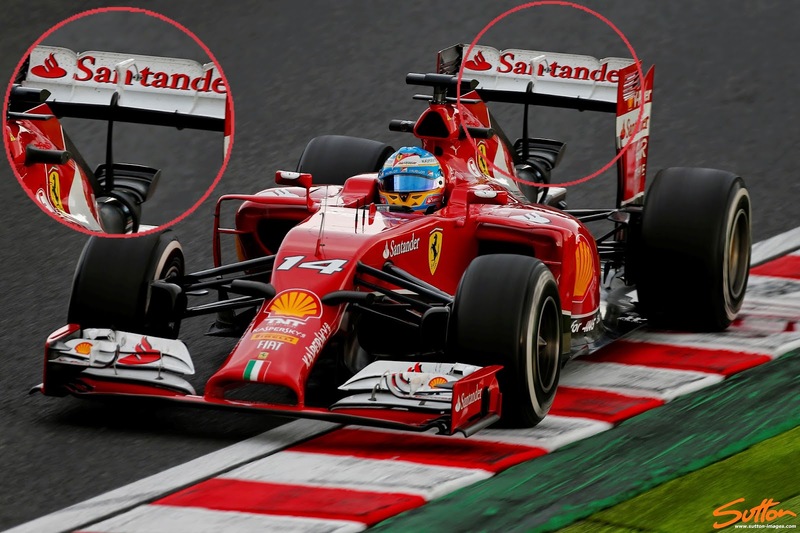 However their presence in Yaw doesn't represent the same problem, as the grooves are designed to act in a way that maximises downforce before reducing drag. The new top flap (above) has been designed with just a singular, much larger, centralised V groove, much like most of their rivals use. The idea being that the singular V groove, although larger, allows for much more control in how the wing reacts to changes in attitude. 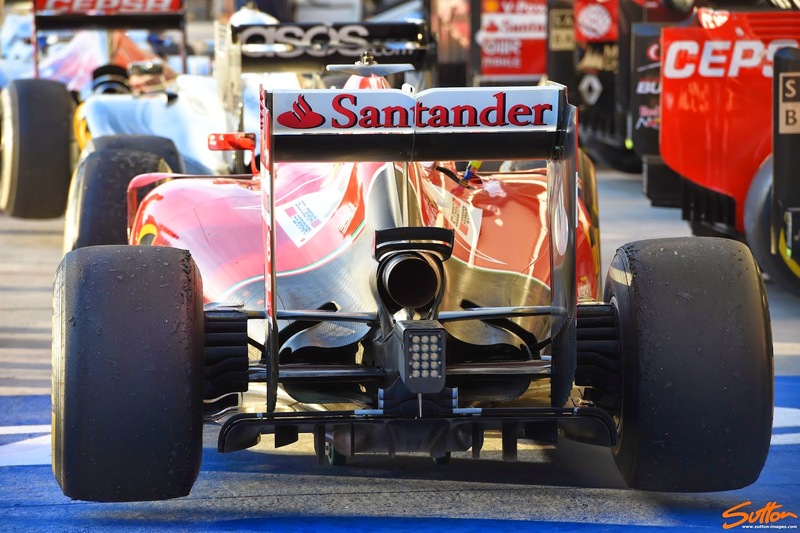 Furthermore as teams look to use the exhaust plume, that now lies on the cars centreline to assist in downforce generation and drag reduction, moving the V groove to the centreline enables more control.